Today we are making water soup. Now this may conjure up images of a flavorless meal. 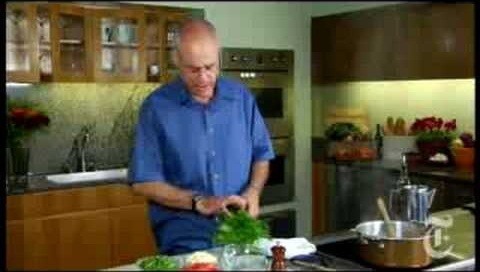 In this how to video Mark Bittman from the New York Times shows how to make a flavorful soup without using stock. This recipe is equally delicious as any other stock based soup out there. Mix in onions, carrots, zucchini, garlic and fresh parsley.